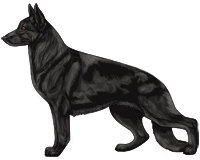 Showdog.com · Deceased · CH Kissangels Black Beauty. Pedigree of CH Kissangels Black Beauty. GCH CH UD Kissangels Blue Steel. CH Kissangels One Step Ahead.